The Texas Legislature is designed to kill legislation, not to pass it. There are countless ways in which legislation can die. Put simply: That's usually a good thing. The vast majority of the time, the government should get out of the way and let the private sector do its thing. After all, less legislation usually equals less government and less government always equals more freedom. The flip side of that, though, is that there are times when the machine of Austin politics can kill very good legislation. Our readers know that one thing that has got to stop in Texas is the intentional misclassification of workers, sometimes called payroll fraud. It's a huge problem in the construction industry, and there are some companies that would love to go right on cheating taxpayers by avoiding payroll taxes and using the gray areas of the law to hire illegal immigrants. 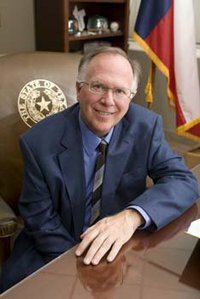 The conservative leadership of Sen. John Carona, R-Dallas, and Rep. John Davis, R-Houston, has resulted in what we believe is very good legislation designed to deal with this problem. But, it may be in danger. Even though almost all of the testimony on HB 1925 has been positive, the powerful House Calendars Committee might not allow it to be debated on the House floor. Some major homebuilders recently testified that unless they can continue to pay workers as subcontractors, home prices will rise. In our opinion, what they're saying is their business model is dependent on their ability to cheat. Despite their opposition, the House committee that voted on the bill passed it unanimously. Clearly, when this debate is held in public, the cheaters lose. Our sources at the Texas Capitol tell us those homebuilders are in overdrive right now telling the members of the House Calendars Committee to let the legislation die there and not allow it to be brought to the House floor for a vote. They're doing this in shadows - in the back rooms of the capitol and at steak dinners in dark restaurants. The members of the Texas Legislature shouldn't decide this behind closed doors.